Rick Geddes is Professor in the Department of Policy Analysis and Management at Cornell University and Founding Director of the Cornell Program in Infrastructure Policy (CPIP). His research focuses on the funding, financing, regulation and delivery of heavy civil and social infrastructure. That includes road, bridge, and tunnel projects, as well as schools, prisons, and courthouses. His research has examined network-wide road pricing, infrastructure resilience, and innovative infrastructure financing via public-private partnerships. Rick is a member of the Graduate Fields at Cornell of Systems Engineering, Economics, and Public Affairs. He is also a core faculty member of the Cornell Institute for Public Affairs (CIPA), a Visiting Scholar at the American Enterprise Institute (AEI), and a Research Fellow with the Mineta Transportation Institute at San Jose State University. 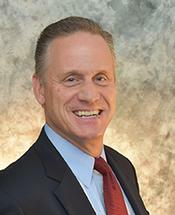 Rick has held numerous visiting and advisory positions. He was the Edward Teller National Fellow at Stanford University’s Hoover Institution during the 1999-2000 academic year. He served as a senior economist at the Council of Economic Advisors during the 2004-2005 academic year, and was a commissioner on the National Surface Transportation Policy & Revenue Study Commission. Rick was also a Fulbright Senior Scholar during the 2009-2010 academic year to study transportation public-private partnerships in Australia, and a Visiting Faculty Fellow at Yale Law School during the 1995-1996 academic year. He has advised numerous Fortune 500 companies, including United Parcel Service and CSX. He has testified numerous times before House and Senate committees. Rick's publications have appeared in numerous academic journals, including in Nature, the American Economic Review, Journal of Regulatory Economics, Journal of Legal Studies, Journal of Law & Economics, Transportation Research Part E, and Journal of Law, Economics, and Organization, among many others. Rick has won numerous teaching and advising awards, including three Merrill Presidential Scholars Awards for Outstanding Educator, and a SUNY Chancellor's Award for Excellence in Teaching. He teaches courses at Cornell on infrastructure policy, corporate governance, microeconomics, and the regulation of industry. He holds MA and Ph.D. degrees in economics from the University of Chicago, and a BS in economics and finance from Towson State University. Geddes’ research examines policies addressing the funding, financing, and regulation of large infrastructure systems. He focuses on the energy, water, postal and transportation sectors. Cramton, Peter, R. Richard Geddes, and Axel Ockenfels. 2018. "Using Technology to Eliminate Traffic Congestion," Journal of Institutional & Theoretical Economics. Cramton, Peter, R. Richard Geddes, and Axel Ockenfels. 2018. “Set Road Charges in Real Time to Ease Traffic,” Nature (July 31): 23-25. Geddes, R. Richard and Rui Marques. 2018. “The Use of PPP Arrangements in Street Lighting: A Win-Win Option?” Annals of Public and Cooperative Economics (September). Rouhani, O.M. ; R.R. Geddes, W. Do, A., Beheshtian, and O.H. Gao, 2018. “Revenue-Risk-Sharing Approaches for Public-Private Partnership Provision of Highway Facilities,” Case Studies in Transport Policy, 6(4): 439-448. Beheshtian, A., K. P. Donaghy, R.R. Geddes, and X. Zhang, in press, “Vulnerability Analysis of Manhattan’s Motor Fuel Supply Chain Network,” International Journal of Critical Infrastructures. Beheshtian, A., K. P. Donaghy, R.R. Geddes, and O.H. Gao. 2018. “Climate-Adaptive Planning for the Long-Term Resilience of Transportation Fuel Supply Chain,” Transportation Research Part E: Logistics and Transportation Review. My research focuses on public policies to improve the funding, financing, regulation, operation, and maintanance of civil and social infrastructure. I have studied policies surrounding electricity, postal services, and transportation public-private partnerships. My research has addressed innovative financing approaches such as public-private partne rships (PPPs), as well as emerging policies such as real-time network-wide road charges. Examples of recent research topics include street-lighting PPPs, state-level public-private partnership enabling laws, project bundling and PPPs, and new types of public-private partnerships. That includes policies to encourage investment in infrastructure, life-cycle asset maintenance of infrastructure, and the state-level drivers of investment in transportation infrastructure. My current public engagement work is undertaken through my position as Founding Director of the Cornell Program in Infrastructure Policy, or CPIP. CPIP public-engagement activities include hosting events related to current infrastructure policy topics, facilitating interactions between the 40-plus member CPIP Advisory Board, Cornell students, and Cornell faculty, as well as hosting CPIP executives-in-residence on campus. My teaching philosophy is designed to meet the needs of Cornell students at both the undergraduate and graduate levels. It includes the following three components: (i) careful preparation of and background reading on all material presented in class; (ii) making the material relevant by including current events, real-world examples, guest speakers, and interactions with industry practitioners; and (iii) facilitation of personal interactions with students and a focus on individualized attention. It also includes advising students on both class and career matters, as well as putting them in touch with senior industry professionals.